Choose from one of three recently renovated one-bedroom, ocean-view, executive suites in this conveniently-located high-rise condominium, just two blocks from the beach. Amenities include air-conditioning, gourmet kitchens with granite countertops, a California king-size bed, a queen-size sofa bed with a deluxe 6-inch mattress, two 27-inch flat-screen televisions with premium cable and music channels, and built-in DVD/VCR players, a whirlpool tub and shower, and your own washer and dryer. 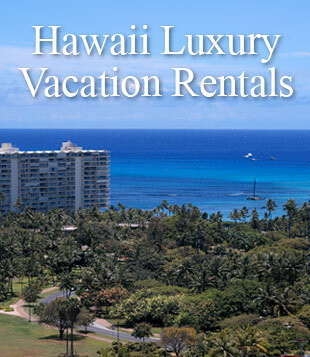 Unlimited high-speed wireless Internet access and an assigned parking stall are also included at no additional charge. Each unit sleeps up to 4 people. 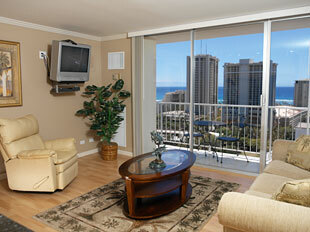 For additional photos and more information on our Waikiki suites, click here. 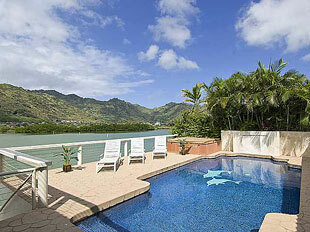 With Maunalua Bay on one side and Koko Marina on the other, this stunning three-bedroom, three-bathroom, single level home is an oasis of tranquility amidst every exciting activity Oahu has to offer. Perfect for family vacations or elegant entertaining, its refined decor and free-flowing floor plan suits even the most discriminating tastes. Amenities include air-conditioning, Italian travertine floors and bathrooms, a gourmet kitchen with granite countertops, a 53-inch Sony® entertainment system with premium cable and music channels, Sony® PlayStation® II, a private boat dock, private swimming pool, gas barbeque grill, and more. Sleeps up to 8 people. For additional photos and more information on our Waterfront Oasis, click here. 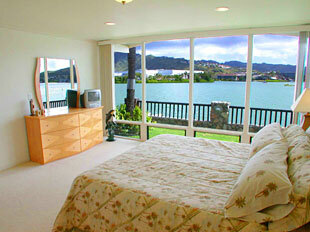 Located on beautiful Koko Marina, this spacious, luxurious home offers the ultimate Hawaiian getaway. It has four bedrooms and four baths, an enclosed front yard with gazebo, and a waterfront swimming-pool deck featuring a separate barbeque station and dining area. Inside, vaulted ceilings, Italian travertine stone and exotic woods create an island-style ambiance of impeccable quality. And the amenities include a gourmet kitchen with granite countertops, a 48-inch plasma TV and entertainment center with premium cable and music channels, a private boat dock, a game room with pool table, and more. Sleeps up to 10 people. For additional photos and more information on our Waterfront Retreat, click here.